The 34-year-old actress and her producer boyfriend Jacob Pechenik, who have been dating since last year, are delighted to be expecting their first child together. Zooey told PEOPLE: "Jacob and I are over the moon. We are so excited to meet our little one." The raven-haired beauty will be able to swap pregnancy tips with her sister Emily Deschanel, as the 38-year-old actress is expecting her second child with her actor husband David Hornsby. 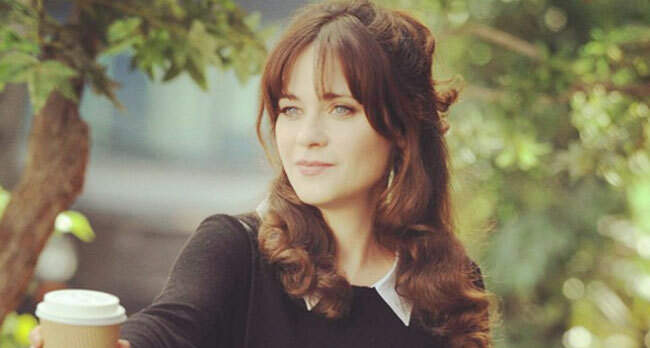 Zooey will also be happy when her first child is born because she will never be asked if she wants children again. Just last year she admitted she was getting tired of being asked that question in every interview because men never have to answer such a query. She said: "Like every woman is dying to give birth! I don't think so. Nobody asks guys that. And you go into a supermarket and every tabloid is like, 'Pregnant and Alone!' Stuck in the 1950s ideal of how a woman should live her life. This brings out the fiery feminist in me." Zooey was previously married to musician Ben Gibbard for three years until their divorce in 2012.